WASHINGTON (Reuters) – The United States on Wednesday charged two Russian intelligence agents and two criminal hackers with masterminding the 2014 theft of 500 million Yahoo accounts, marking the first time the U.S. government has criminally charged Russian spies for cyber offences. The charges came amid a swirl of controversies relating to alleged Kremlin-backed hacking of the 2016 U.S. presidential election and possible links between Russian figures and associates of U.S. President Donald Trump, and uncertainty about whether Trump is willing to respond forcefully to aggression from Moscow in cyberspace and elsewhere. The 47-count Justice Department indictment includes charges of conspiracy, computer fraud and abuse, economic espionage, theft of trade secrets, wire fraud, access device fraud and aggravated identify theft. It paints a picture of the Russian security services working hand-in-hand with cyber criminals, who helped spies further their intelligence goals in exchange for using the same exploits to make money. 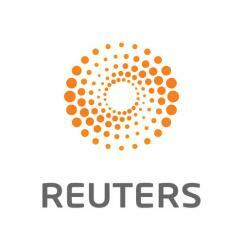 Reuters sent a request for comment to the FSB in Moscow on Wednesday evening but there was no immediate response. The Justice Department said Baratov was arrested in Canada on Tuesday. Canadian police did not immediately respond to requests to confirm the arrest. Washington has not contacted Moscow over the charges, Russian news agencies reported on Wednesday, citing a “highly placed” source in Moscow. The hacks forced Yahoo to accept a discount of $350 million in what had been a $4.83 billion deal to sell its main assets to Verizon Communications Inc .
Belan later gained unauthorised access to Yahoo’s network that he shared with FSB, the indictment said.